At the end of the 12 bar form we go to the V chord to get ready to start the form all over again. 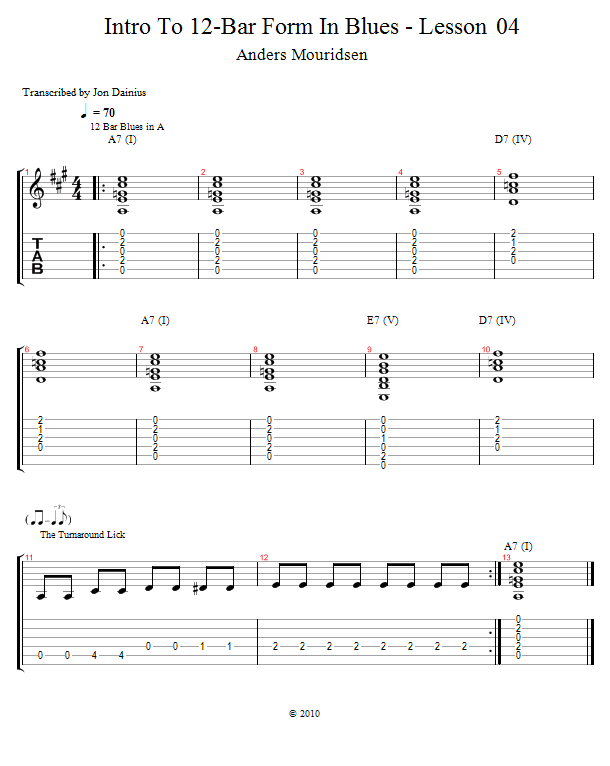 This part is called the "turnaround", and it's a great place to show that you really know what's going on by playing what's called a "turnaround lick". In this lesson I'll show you a very simple example of this, so you can hear how it works!